Bodree Printing Company Incorporated | For all your printing needs from Start to Finish! We are a family-owned and operated business, which means our quality, service and integrity is of great importance. We use the most up-to-date technology in the field to ensure you, the customer, the highest quality printing with a competitive price of which you will be proud. 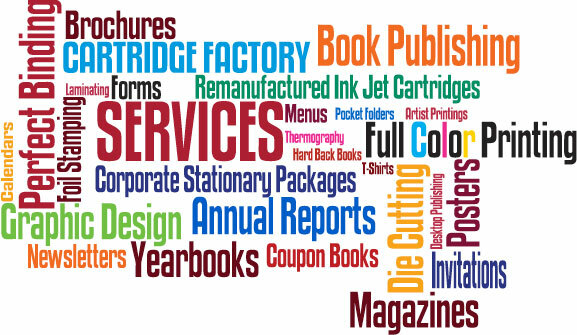 : Bodree Printing Company can provide you with everything you need for a complete finished product. Design and layout is our specialty. All composition is ran directly from computer to an imagesetter to give you the best registration possible. We know that your creation is a reflection of your personal or corporate image and we take that responsibility seriously. Complete Binding Services: Bodree Printing Company contains a complete bindery service. We are able to provide foil stamping, die cutting, scoring, numbering, booklet making, perfect binding, and ordinary or special folding types. All of this work is accomplished within our facility.